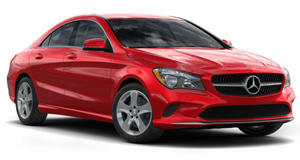 Will it be as successful as the first-generation CLA? After debuting at the Consumer Electronics Show earlier this year, the stunning 2020 Mercedes-Benz CLA has officially entered production at the German company’s factory in Kecskemét, Hungary, where it will be assembled alongside the new A-Class and the CLA Shooting Brake. Based on the new A-Class, the second-generation CLA builds on the monumental success of its predecessor and is designed to appeal to younger buyers with its sleek styling. Since its introduction in 2013, Mercedes has sold over 750,000 units of the first-generation CLA, and most of them were bought by customers new to the brand. To say that the new model has some big shoes to fill is an understatement. "The ramp-up of the new CLA Coupe once again demonstrates the effectiveness of our international production network for the compact models of Mercedes-Benz cars. The success story of the preceding model was already closely associated with the Kecskemét plant. We are now writing the next chapter in this story. While the plant continues to operate at the highest technological level," said Markus Schäfer, Member of the Divisional Board of Management of Mercedes-Benz Cars, Production and Supply Chain. Under the hood, the CLA 250 is powered by a 2.0-liter turbocharged four-cylinder producing 225 horsepower and 258 lb-ft of torque, which is sent through a seven-speed dual-clutch to 4Matic all-wheel-drive. Other models will make use of diesel engines and a manual transmission, but these will most likely only be available in Europe. Inside, the second-generation CLA features Mercedes’ MBUX infotainment system first introduced in the new A-Class, which boasts a new intelligent virtual assistant that can be operated by voice or gesture control. Available safety systems include Active Distance Assist DISTRONIC, Active Emergency Stop Assist, Active Lane Change Assist, Active Brake Assist, Active Lane Keeping Assist, Pre-Safe Plus, and Multibeam LED headlights. Pricing for the 2020 Mercedes CLA hasn’t been announced yet, but customer deliveries will begin in May so we shouldn’t have to wait too long to find out. For the first year of production, Mercedes will offer a CLA Edition 1, which includes numerous accents on the interior and exterior.